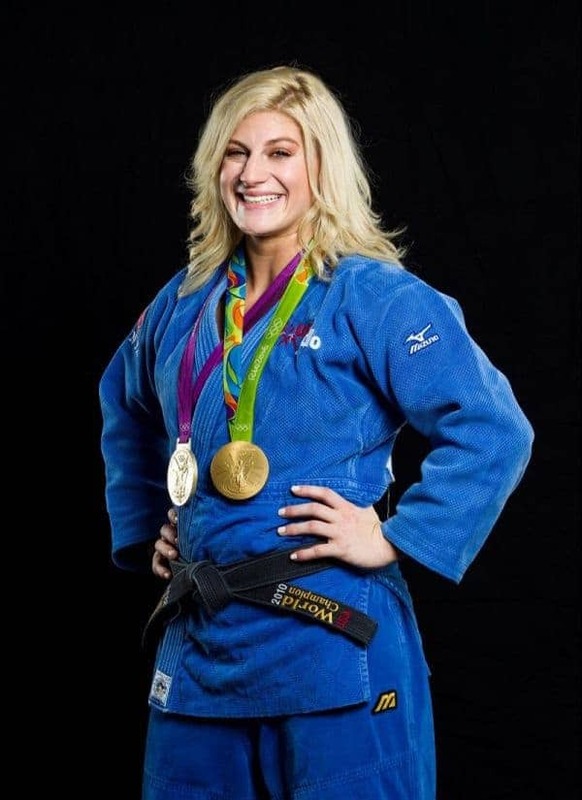 March 6, 2018 | March 6, 2018 — The public is invited to hear Kayla Harrison, a two-time Olympic gold medalist in judo and childhood sexual abuse survivor, at 6 p.m. April 4 at the University of Arkansas Clinton School of Public Service. The free lecture is being hosted by the University of Arkansas for Medical Science’s ARBEST (Arkansas Building Effective Services for Trauma) program and the Clinton School of Public Service in connection with National Child Abuse Prevention Month. Harrison, who became the first American gold medalist in judo at the Summer Olympics in London in 2012, was sexually abused by her coach from the time she was 12 to 16. The coach was sentenced to 10 years in prison in 2007. Harrison is now an advocate for children and adolescents, speaking out about her struggles and how she overcame them to reach the pinnacle of her sport. Reserve your seats by emailing the Clinton School at publicprograms@clintonschool.uasys.edu or by calling (501) 683-5239. Her book, “Fighting Back: What an Olympic Champion’s Story Can Teach Us about Recognizing and Preventing Child Sexual Abuse – and Helping Kids Recover,” will be available for purchase at the event and will be released nationally April 20. Begun in 2009, the ARBEST program was developed to treat children who have been traumatized as well as to educate mental health professionals on the best interventions. For more information, visit http://arbest.uams.edu or Arkansas Building Effective Services for Trauma’s Facebook.